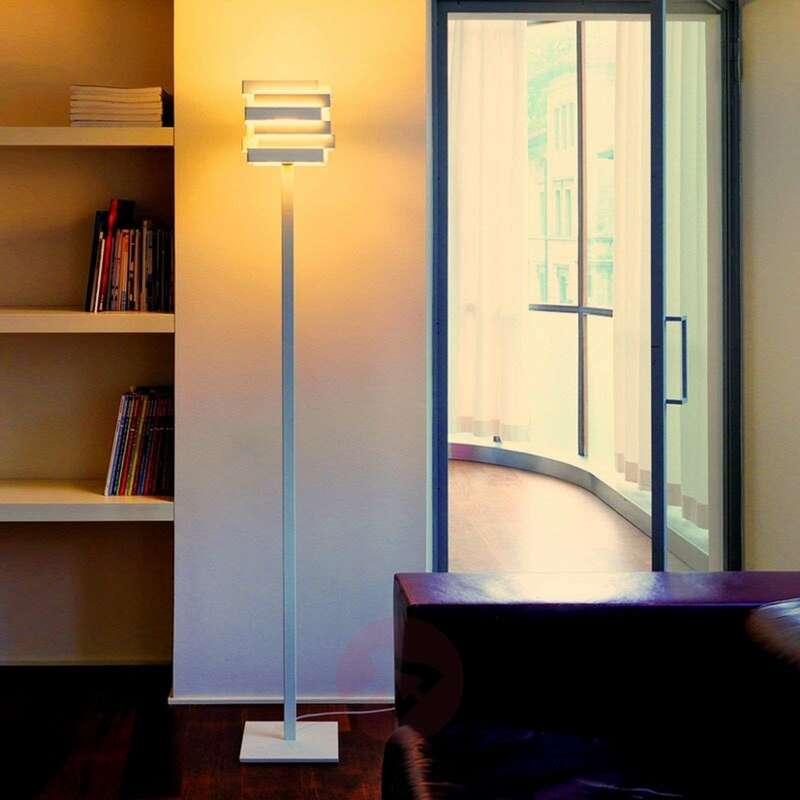 A remarkable feature of this floor lamp is its stylish design. 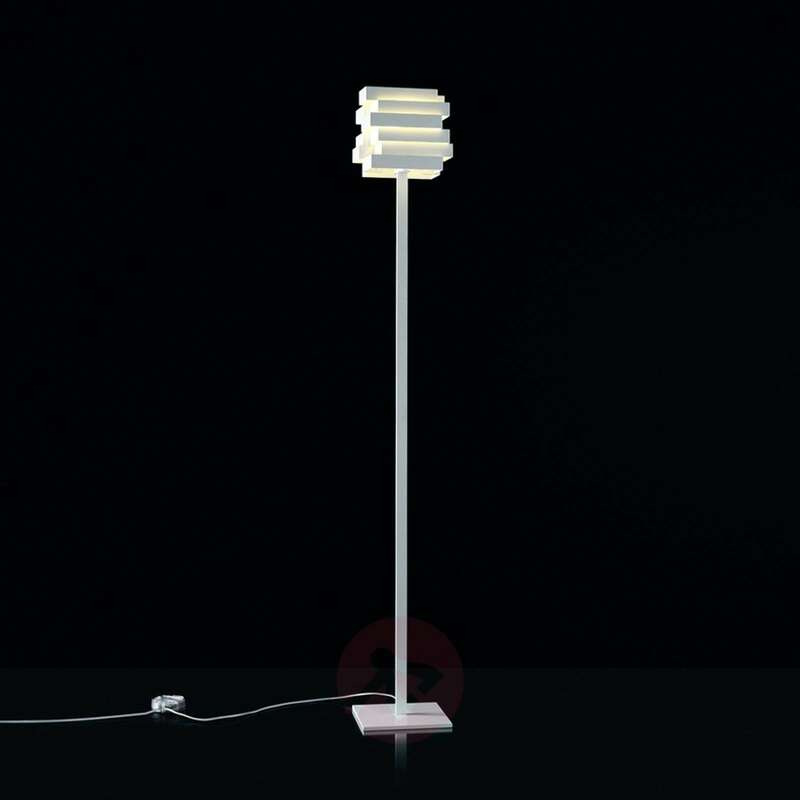 Escape has a white aluminium base which several rectangular elements are attached to. These are arranged offset from each other to induce unique effects in the emitted light. 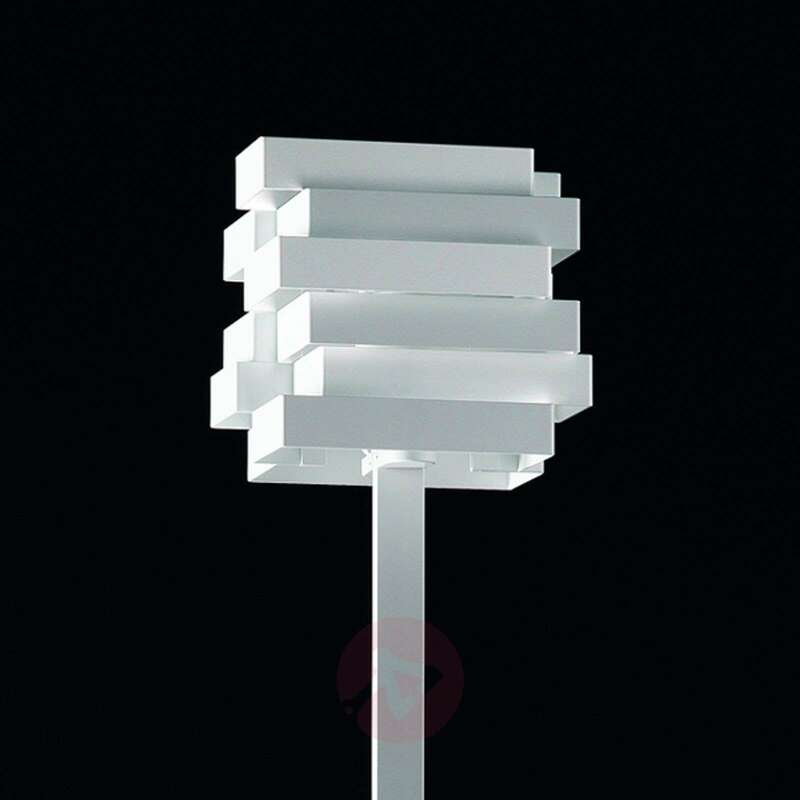 Escape has a switch, but the required light bulb must be bought separately.